Meet dermaPACE, a Device That Shocks You to Treat Wounds! Home News Meet dermaPACE, a Device That Shocks You to Treat Wounds! With technology touching every facet of our lives, it wasn’t going to be too long before we could heat cuts and wounds with just a zap! The United States’ Food and Drug Administration (FDA) has cleared the first-ever device which can help treat diabetic patients using acoustic shock wave treatment. It’s certainly not as glamorous as Face ID in the new iPhone X, but the dermaPACE system, developed by Sanuwave could be a life-saver for some. It works on Pulsed Acoustic Cellular Expression (PACE) technology to apparently heal chronic, full-thickness foot ulcers in diabetic patients. They’re caused due to damaged blood vessels and nerves, which if not treated timely, may lead to reduced circulation and ultimately severe infections or even amputation. 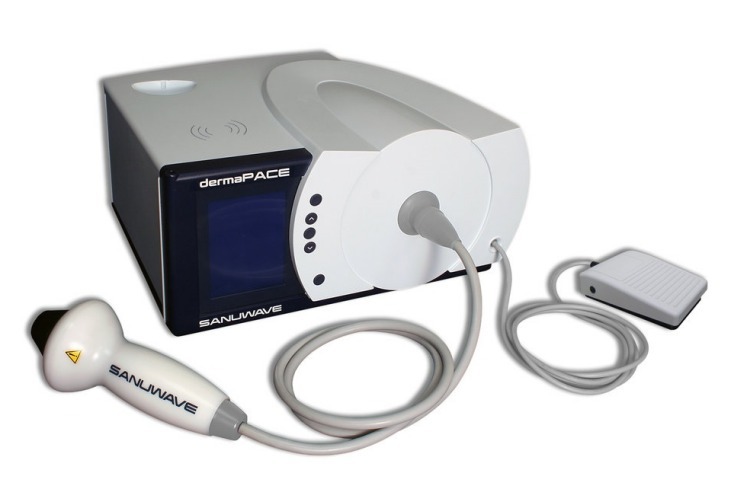 The dermaPACE is designed to be used only on the outside of the body and stimulates the wound mechanically to heal the wound. This is, however, not the first time shock waves are being used as a method of treatment for the human body. Medical agencies have been harnessing and modulating the power of shock waves to treat kidney stones and other orthopedic treatments. The dermaPACE device employs medical acoustic pressure shock waves, which if you’re unaware, are invisible and can propagate quite rapidly in any direction through organic, as well as inorganic matter – so you could theoretically wear it inside your shoes too. During the FDA’s testing the dermaPACE system was put through a double-blind study with 336 diabetic patients. The ones treated with shock wave technology exhibited better wound healing results. DermaPACE showed 44% wound closure rate at 24 weeks, as compared to the 30% closure rate for the control group. This is a massive improvement in this field, and will offer better quality of life for diabetic patients who may suffer from debilitating pain due to these wounds.